It has always been hard for me to be dependent on others. But God is teaching me that he wants his church to depend on one another and be able to help each other out. He is showing me that I am going to have to depend on you. So I’m asking you to be a part of the work happening in the Philippines. I want and need you to help me feed the kids on the streets who daily fight just to survive. I want you to help me play a game of basketball and then lead a Bible study afterwards. 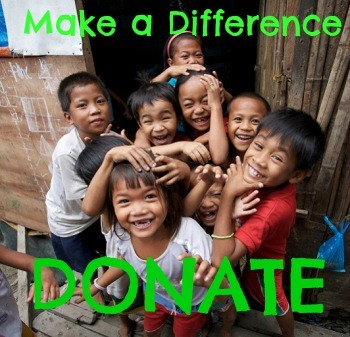 I need you to be a part of providing these kids with an education they deserve. I want you to help show these children a love they have never seen before, the love of their Father. If you would like to partner with me and be a part of the work God is doing in the Philippines it would be such a blessing in my life. CLICK on the Picture Below to go to my fundraising site. You can also partner with me through prayer. I truly believe God is a God who loves giving good gifts to his children, a lot of times he is just waiting for us to ask. You can ask with me. Pray for our core ten kids as we feed them and provide education. Pray for our team as we seek daily guidance in helping these children. Pray for our social worker as he learns more about the home life of our kids. This wouldn’t be possible without you. THANK YOU!